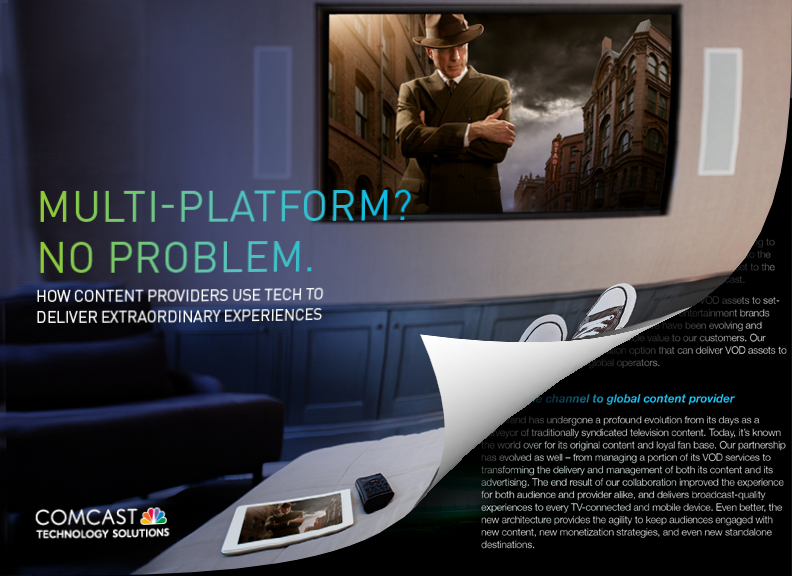 Comcast Technology Solutions understands the complex video challenges that come with being a content provider today — because we are a content provider. That's why we're bringing the technology and innovations from Comcast to the industry — specifically designed to help content providers manage the complexity of video management and distribution to multiple platforms. Our complete portfolio of broadcast and OTT solutions work together seamlessly to simplify your workflow and your job. Launch and run any business model from content syndication and D2C commerce, to C3/C7 capture and dynamic ad-insertion. Evolve and scale into the future on an infrastructure purpose-built for connectivity, media, and entertainment while remaining flexible for future developments. Choose an experienced, trusted, strategic partner to achieve your goals. We're dedicated to creating the right-sized solution for your unique needs. Quality of Experience (QoE) is one of the defining performance metrics of our day. Delivering on the promise consistently across devices takes concerted effort and execution across your delivery effort. Download our whitepaper on how content providers can better utilize technology to delivery extraordinary, binge-worthy experiences.